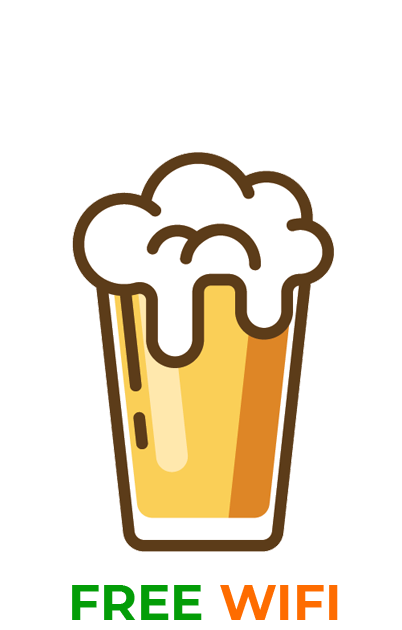 Our gift card is now available for purchase in our Modena pub! Griffin’s pub loyalty cards are an original way to give a gift to a friend during a particular event. The Loyalty card is nominative but can be used by the whole group during the evening. As many advantages for you! Our gift card is now available for purchase in our Modena Griffinʼs pub. 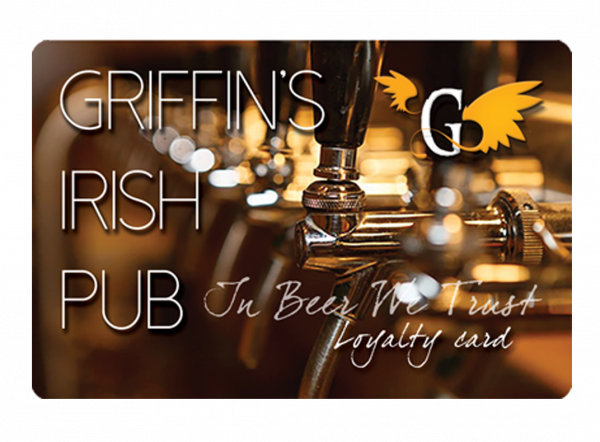 The Griffin’s loyalty card can not be purchased on-line or by telephone, but only directly at our Modena Griffinʼs pub store. 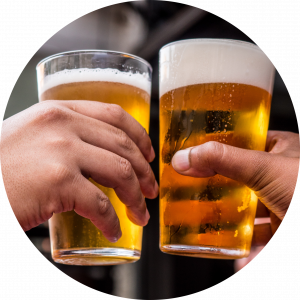 Go to the bar counter and ask directly to our Publicans. They will be able to give you all the information you need. For the activation of the card, only at the first purchase, the minimum recharge will be of 40.00€ and 5.00€ of one-off activation. Subsequently, the recharge cuts will be: 30€ – 40€ – 50€ – 70€ – 100€. Griffin’s pub loyalty cards are an original way to give a gift to a friend during a particular event. The Loyalty card is nominative but can be used by the whole group during the evening. An idea for a friend’s birthday, Father’s Day, Graduation gifts, Christmas gifts. For any information, you can CLICK directly on our website www.griffins.it under the Loyalty card menu or contact our whatsapp number +39 342 0112916 every day from Monday to Sunday from 15.00 to 17.00. Use of your gift card will constitute acceptance of these Terms and Conditions. These Terms and Conditions replace any conditions on the gift card, if different. Therefore, it is necessary to read them carefully. Buy your gift card now. The minimum amount required to activate a card is Eur 5.00 and will not be reimbursed if a new card is requested for loss and / or damage. The maximum amount that can be loaded on a gift card is Eur. 100.00 We do not collect or store your data at the time of purchase; therefore, if the card is lost or stolen, the balance can not be returned. You can request a new one, observing the rules for activating a new card, as shown above. claimed by the owner. Griffin’s pub assumes no responsibility for any lost, stolen or damaged gift cards. No refunds are available for the purchase of a Griffin’s Loyalty Card. Conditions of Contract stipulated between the parties unconditionally. of the Privacy Guarantor on our website www.griffins.it.